در فلومتر توربینی از انرژی مکانیکی سیال به منظور چرخش پره ها استفاده میشود. هنگامی که مایع سریعتر حرکت می کند ، چرخش روتور نیز سریعتر است. 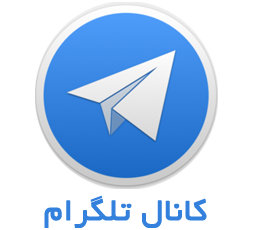 در فلومتر های توربینی بوسیله یک سنسور تعداد دوران پره اندازه گیری می گردد. میزان دوران پره نسبت مستقیم با میزان دبی سیال داشته و می توان با ضرایب مشخص دبی سیال را با دقت بالا نمایش داد. این نوع فلومترها به دو صورت In Line و Insertion قابل ارائه می باشند. 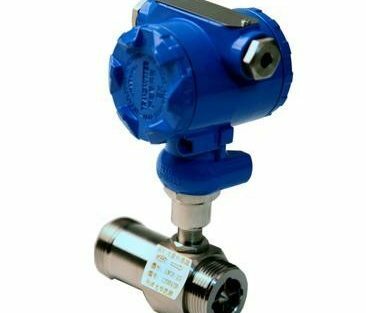 ۱, this LWGY series turbine flowmeter is by flow sensor and display meter component is the abroad advanced technology production, is the ideal liquid measure one of flow meter. 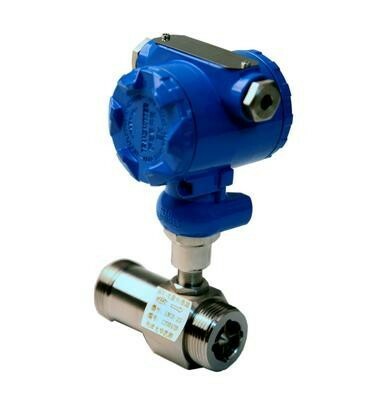 Flowmeter has simple structure, high precision, installation maintenance convenient use, etc. The products are widely used in oil, chemical industry, metallurgy, water supply, paper making, environmental protection, food, and other fields, suitable for measuring the closed in the pipe and no fiber, particle impurity liquid. Especially suitable for and secondary display, PLC, DCS control system with the use of the computer, also can achieve automatic quantitative control, excessive alarm such use, is the ideal energy flow and instrument. 3. Wide measuring range, the diameter of 1:20, for small “, floor lower velocity. ۵٫ The output pulse frequency signal, and is suitable for transient flow, accumulated measurement, no zero drift, strong anti-interference ability. ۱٫ The nominal diameter: (4-200) mm basic parameters and selection of that see (table 1). ۲٫ The temperature of the medium: standard (20-80)C; High-temperature type (20-120)C.
۳٫ Environmental temperature: (20C)-to 55. 4. Must have the accuracy of the specific) : (plus or minus 0.2%, plus or minus 0.5%, plus or minus 1%.